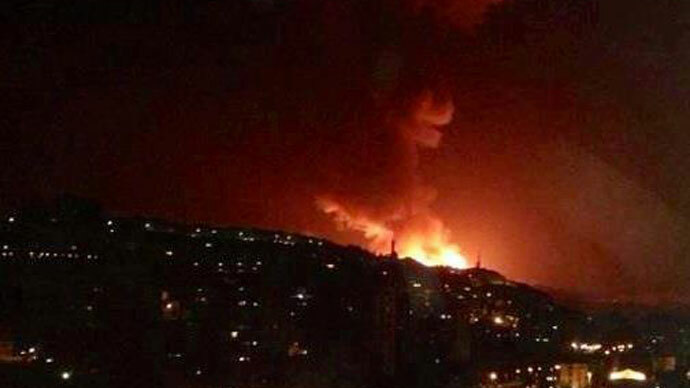 Israel has declared a state of alert on its embassies, consulates, and missions around the world after reportedly launching two airstrikes on Syria, Al-Mayadeen reported. The IDF has deployed a rocket defense system in the north of the country. 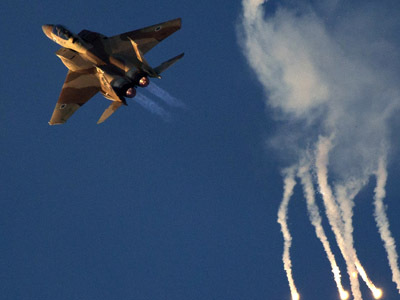 The airspace over northern Israel and Haifa area was said to be closed off to civilian flights after reports came that two Iron Dome batteries were moved also to the north of the country. Officials did not offer much comment. The only reaction came from a military source, who said the IDF moved the batteries as part of "ongoing situational assessments," AP reports. The deployment came several hours after Israel carried out what is believed an airstrike in Damascus that attacked a shipment of Iranian-made missiles bound for Hezbollah. Shortly after that Lebanon’s TV Al-Mayadeen reported that Syria pointed missile batteries at Israel. The Israeli Defense Forces allegedly carried out a second consecutive strike on targets within Syria’s territory. 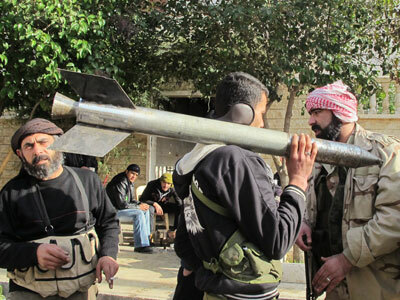 The aim was reportedly Fateh-110 missiles Israeli sources said were meant for Lebanon’s Hezbollah, considered as a terrorist group by Tel Aviv. Israeli Prime Minister Benjamin Netanyahu didn’t mention the fact of the strike or Iron Dome deployment directly at a public appearance on Sunday, but spoke pointedly about a commitment to keeping Israel secure. "[My father] taught me that the greatest responsibility we have is to ensure Israel's security and guarantee its future," he said. Soon after that Haaretz reported that the airspace over the country's north as well as Haifa area are closed off to civilian flights. The ban is expected to hold till Thursday at least. 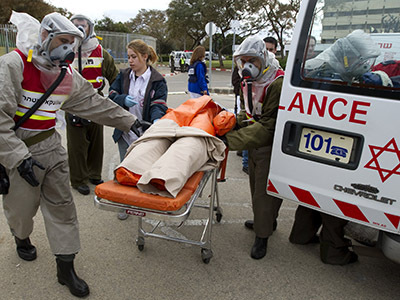 Public bomb shelters in the city would not be opened on Sunday in order to avoid fear-mongering, Israeli media report, citing Mayor Nissim Malka. 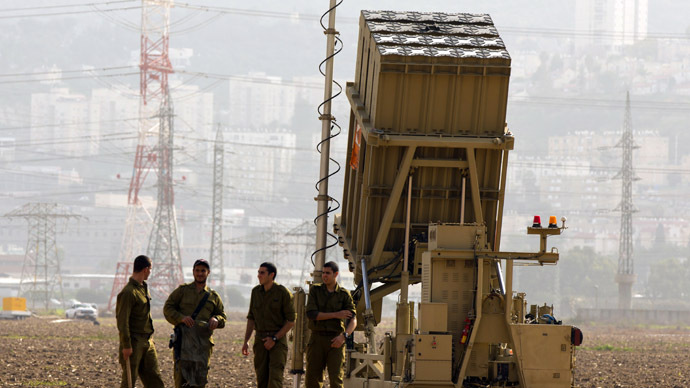 Earlier this week, the IDF already deployed two Iron Dome batteries near the cities of Haifa and Safed in the north of the country. 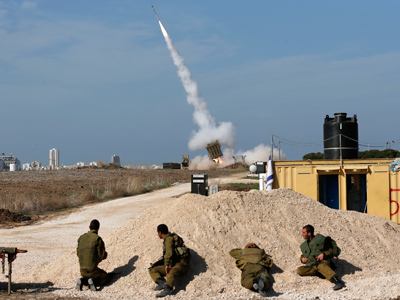 The defense system protects against short-range rockets; during Operation Pillar of Defense in November 2012 it was said to have intercepted over 80 per cent of the incoming rockets from Gaza. Back in January, the IDF took similar deploying actions – just several days before another alleged airstrike on a weapons convoy in Syria which reportedly headed for Hezbollah. Israel never publicly admitted they were behind the strike. Israel claimed many times it wants to stay out of the Syrian war, but Netanyahu and other top officials has been repeatedly saying that the Jewish state would be prepared to take military action to prevent sophisticated weapons from flowing from Syria to Hezbollah or other extremist groups. 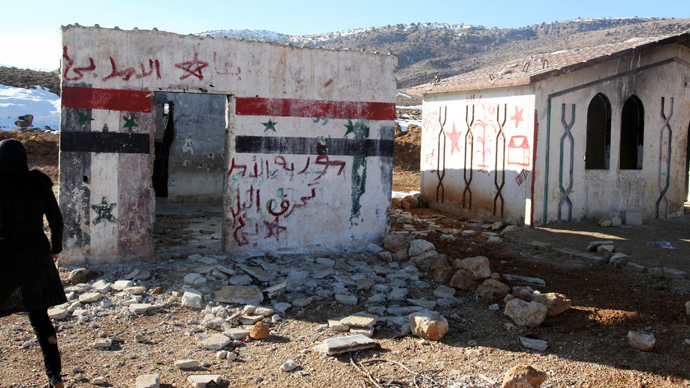 Technically, Israel and Syria have been at war since Israel captured Golan Heights territories from Syria in the Six-Day War in 1967. In 1981, the Israeli Knesset passed the ‘Golan Heights Law’, which unilaterally proclaimed Israel's sovereignty over the territory. The annexation was condemned by the United Nations Security Council in UN Resolution 497 of December 17, 1981.